Babies are cute, but they definitely aren’t cool. Trust me. I have one and on most days, she’s a drooly, snotty little mess of a human. 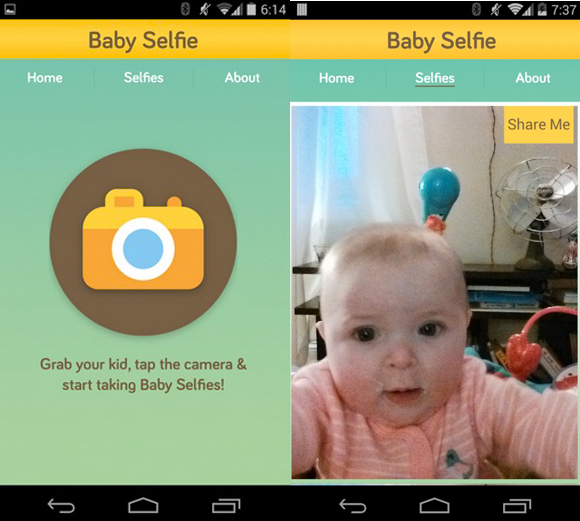 A Baby Selfie App means selfies are dead. Or would a Grandma selfie app mean its demise? Anyway, even the app’s creator, Matthew Pegula, (a new dad to a six-month old girl), doesn’t take his project too seriously. He only built “Baby Selfie” as a foray into Android development. The app works sort of like a digital game of peek-a-boo, where animals pop up on the screen to capture the baby’s attention. Then, it plays a sound and automatically captures a silly photo of the baby.